If you suffer from redness or have skin that’s prone to hormonal acne, the Benton Snail Bee High Content Skin is perfect for you. Read on to see why we love its healing powers. I’m one of those lucky people who often gets hormonal pimples. And those hormonal pimples take a long time to heal and more often than not leave me with annoying scars that sometimes take a whole month to completely fade. I’m also the kind of person who deals with mild rosacea-like redness almost all of the time. Given these predicaments, I look for really specific things in my toners. Since the purpose of a toner is to bring my skin’s balance levels back to normal after my double cleanse and to help prep my skin to absorb my serum, I like a toner that will work to plump my skin and soothe it at the same time. The Benton Snail High Content Skin is one of those toners. Even better: It infuses my skin with ingredients that help erase damage from hormonal acne and redness. As you may have be able to tell from the name of the product, the two star ingredients in this toner are snail mucin and bee venom. 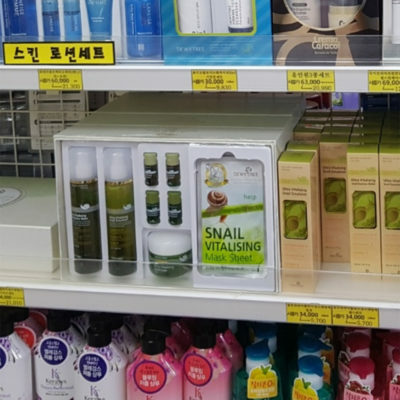 Snail mucin, AKA snail secretion filtrate, is the first ingredient listed on the product, which means that it has a high concentration of it. This is great because snail mucin is a stellar ingredient when it comes to healing skin. It contains a powerful collection of acids, proteins, and antioxidants that help speed up cell turnover rate, thus helping to fade acne scars quicker. The next ingredient I’d like to focus on is bee venom. This is an ingredient that’s often touted as “natural Botox” because it actually works to trick your skin into thinking it’s been stung (hence the name), which then makes your skin boost collagen production and blood circulation in an effort to heal itself. On top of initiating healing, bee venom also contains a bunch of enzymes that help temporarily thin the skin, allowing other ingredients to better seep into skin cells. While containing a double dose of powerful skin-healing ingredients was enough to make me love this toner, there are a couple other ingredients that act as the cherry on top to make it a true winner. Since I have extremely sensitive skin, I was happy to see that aloe leaf extract makes an appearance on the ingredients list (especially since I was worried my skin might have a slight negative reaction to the bee venom). I also love how niacinamide is included in the Benton Snail Bee High Content Skin. I’m all for any product that contains this powerhouse brightening ingredient since as I get older, my skin gets duller. Warning: This toner is very watery. Like so watery that when I pump it into my palm it instantly starts slipping through my fingers and onto my bathroom counter. Yes, this is annoying, but the toner’s super light consistency makes it ideal for people with oily or combination skin who seek toners that literally feel like nothing when you apply them. 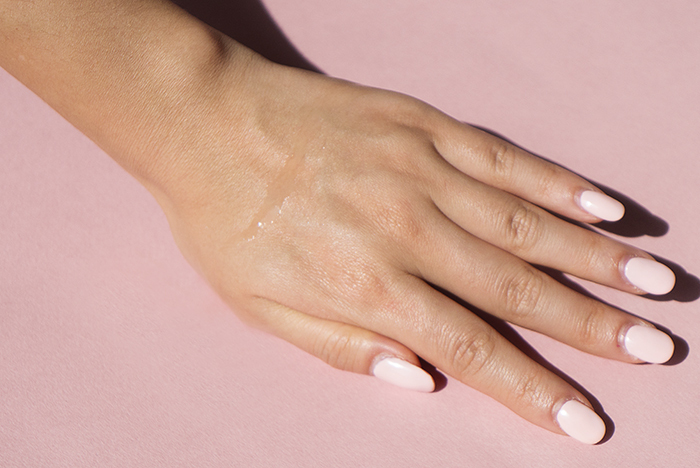 Since I have really dry skin, I take about four to five pumps and immediately start gently patting it into my skin. The good thing is that the toner absorbs super quickly and makes my skin feel plumper and softer right away. Another plus? It doesn’t have a strong scent. Some days I can’t smell it at all and on other days it has a faint slightly chemical smell (but nothing horrible). I used the Benton Snail Bee High Content Skin for two weeks and the first word that comes to mind when I think of results is balance. As I mentioned, my skin is in a constant state of agitated redness and this toner definitely helped in balancing out my skin tone and just calming everything down so my complexion looked more radiant and less angry and irritated. The second word I think of is healing. Luckily for the toner (but not for me), I used it during a period when I was traveling and my skin was going through a lot (read: my hormonal acne was abundant). I decided to continue using this toner when I had a few hormonal cysts pop up under my nose and on my chin—even though I usually try to steer away from using new products during my breakouts—and I’m really glad I did. My pimples started healing much faster—what usually takes a week to heal took about three to four days with the Benton High Content Skin. Also, once the pimple was gone, the scar wasn’t nearly as prominent as the scars that form when I’m not using a product with ingredients made to prevent them. That being said, I’m happy using this toner every day during these hot end-of-summer days, but once fall and winter comes around, my dry skin will need more than this light watery toner. I’ll probably switch back to my tried-and-true Klairs Supple Preparation Facial Toner once the cooler weather sets in and use this Benton toner when my skin is having a hormonal acne flare-up or feels super red. If you’re looking for a toner that will help offset acne and the damage it can cause, this is it. What makes it extra great is that the Benton Snail bee High Content Skin puts the hard-working ingredients at the top of the list and refrains from filling up the product with fillers. It’s great to use every day (especially if you have oily and/or combination skin) and it effectively preps skin for your next products in your routine while infusing it with healing ingredients. + Have you tried products with snail mucin and bee venom? I’d love to hear your thoughts in the comments!